The AUD/JPY currency pair may be in a long-term uptrend, according to the daily chart (see live forex chart here >>). The bottom for this pair was at 77.60. The stochastic oscillator confirms also the uptrend. 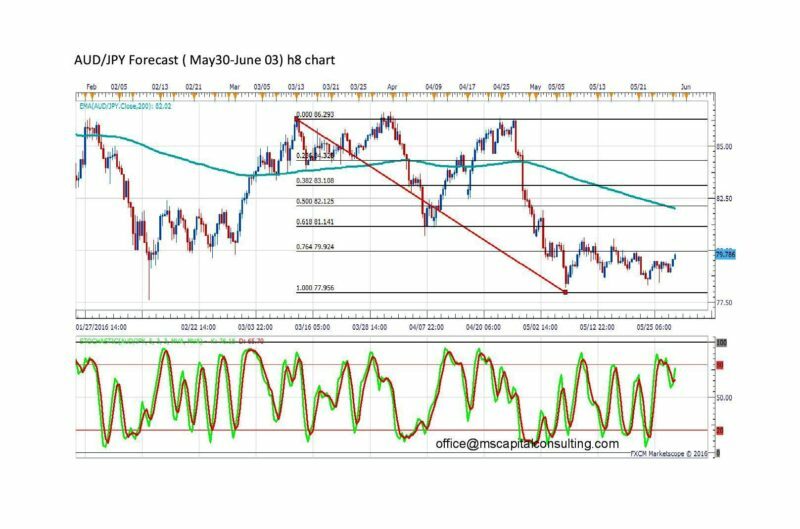 A long-term target for this currency pair may be 85.02 (0.61 Fibo). 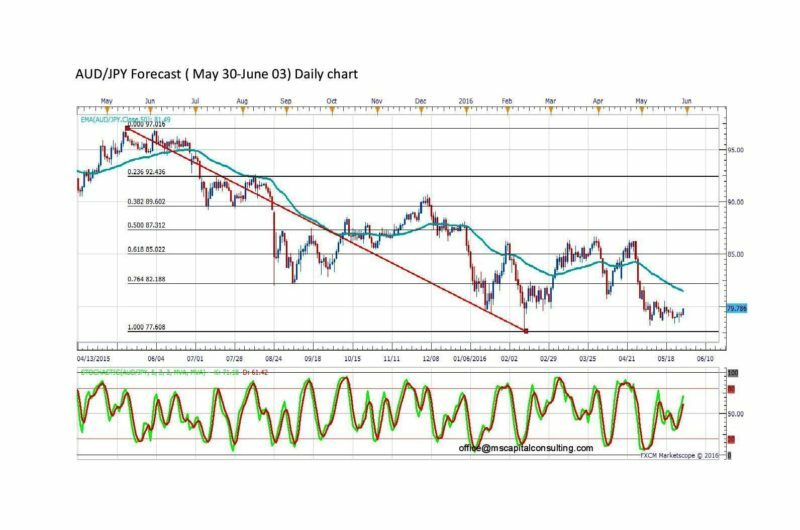 The stochastic oscillator on the 8 hour chart shows the uptrend. The first possible medium-term target is 81.14 (0.61 Fibo) and the second target may be 82,12 (0.50 Fibo). EURUSD, USDJPY, AND USDCAD trading plan (13-06-2016).